Despite being from Belgium, I have a connection with Ireland. It was the first trip abroad with my boyfriend and we had such a lovely time in Dublin, I left a piece of my heart there. Our favourite place to eat out, nowadays, is the Irish pub near our home where they serve the best burgers in town and we had a great St. Patrick’s evening there last year. Talking about last year, I saw this tag floating around then as well, but didn’t get around to doing it. Now, earlier this evening, while at the Irish pub, I saw Magini do this tag and by reading it, I was tagged! So thank you, Magini, for reminding me of this awesome tag. I searched through my read books on GoodReads, but strange enough I couldn’t find that many green books – and come to think of it, I think green is quite the underrepresented colour on my shelves. Apart from being a green book, Proven Guilty is a good green book and part of a great series. If you haven’t read The Dresden Files yet, I recommend you do so, especially from the fourth book onwards the series becomes really good. I can’t but go for the Shatter Me series by Tahereh Mafi. I know I’ve my feelings on these books clear many times over, but I will keep on repeating this until the end of time or until I come across a book which I hate even more than these – which I hope I never do. If you want more details on why I dislike this series with a passion, I have reviews up for the first two books and more than one tag refereces this series as well. Why yes, I have a strong opinion on them. Another book about which I can’t seem to shut up until everyone and their mother has read it. There are a few characters that come to mind who speak with an accent – Hagrid, anyone? 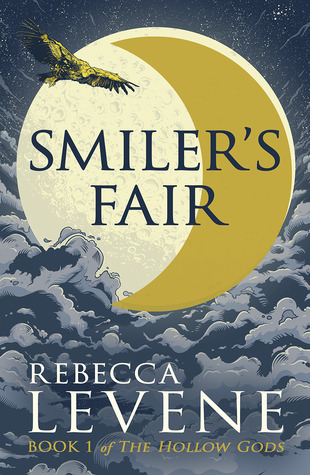 – but Eric from Rebecca Levene’s Smiler’s Fair was one of my favourite characters last year, so I felt like including him here. He’s a lowborn whore and his dialect suits his place in life so well and contrasts with his highborn lovers like the gentleman Lahiru. Eric’s dialect is really street-English, so to speak. It’s not like you have to vocalise the dialogue to understand what he’s saying, which I like, cause I’m all for authenticity and stuff, but if I have to vocalise some parts out loud before I get it, I’m a bit annoyed. I’ve already talked about Marc De Bel, my favourite author when I was little, in previous posts. Another favourite of mine where the Boze Heks (Wicked Witch, transl.) by Hanna Kraan. This is a really fun kids series about a witch who lives in a forest and the animals kind of annoy her and they get into all these crazy shenanigans. I read all the books multiple times when I was young and had so much fun with them. I wonder if my Dutch followers also know these books? 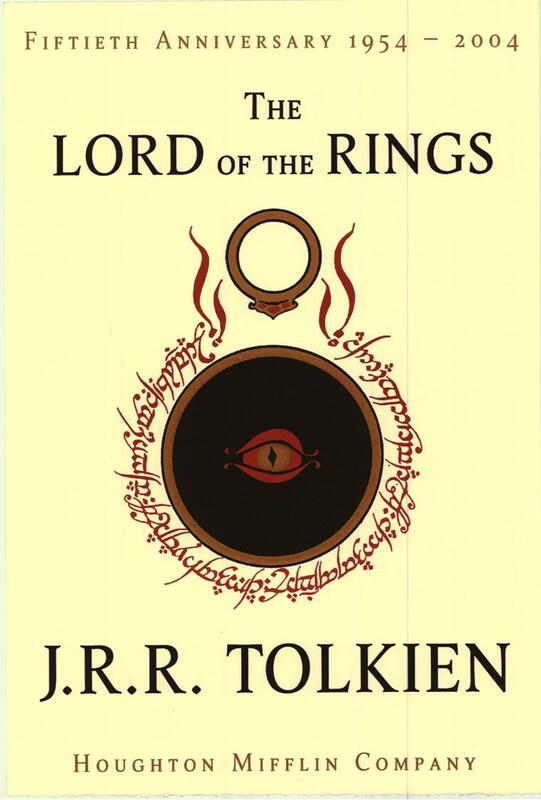 My most recent expensive buy was the anniversary edition of Lord Of The Rings. I already owned the book in Dutch, but since I want to reread it soon-ish but in English, I went for the prettiest edition available and thus it wasn’t cheap like a mass market paperback. The illustrated Harry Potter was also an expensive buy, but totally worth it, even though we now own the first book in four different editions. Let’s get the obvious out of the way: Harry Potter, Harry Potter, Harry Potter. There, I said it. Now that Harry has had his time in the spotlight, let’s turn to another great series. I have a lot of awesome series, but A Song Of Ice and Fire by George R.R. Martin is really up there with the best. I am patiently awaiting the arrival of the sixth book and I can’t wait to see which emotions will rise this time around. Martin has created a great and brutal world that made me mad and sad and hope and long for more. The same goes for Robin Hobb, another amazing author who has the uncanny ability to make me cry in an instant. Brandon Sanderson is the master of magic. The magic systems he creates are so creative and the things he does with them.. I can’t believe so much amazingness can come from but one mind. Take The Rithmatist for example, magic by drawing chalk lines? There is brilliance in the small things, I say. His other magic systems, like the one from Warbreaker and of course Allomancy and Feruchemy are flabergastingly amazing as well. If you haven’t given Sanderson a try, you should do so after finishing this post. I am not really one to concern myself with ships and OTP’s, but there are some that I do root for. In previous posts I’ve already talked about some of the ships that I do want to see sailing, and another one that I was quite invested in at the time I was reading the trilogy, was Fitz and Molly from Robin Hobb’s Assassin’s Apprentice. I have yet to continue on from the first trilogy, so I don’t know how their relationship will develop eventually, but I found their story kind of heartbreaking during the first three books and I just wanted them to be simply happy. Sigh. 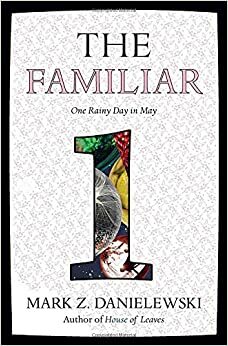 There are a lot of books on my shelves of which I think “The day I’ll get to them..”, but the day I’ll start Danielewski’s The Familiar will be a day where it will be raining and snowing all the while being subjected to a terrible heatwave. This is a beast of a book (800+ pages) and the second book is just as long, and there will be another 25 books in this series. Granted, they look g-r-e-a-t on the shelves, but whenever I crack them open, I get a headache for I don’t know how to even read these.. The final book in the A Song OF Ice And Fire series for sure. It’s been years since I started this series and I just want to know how it will all end. Who will be on the Iron Throne? I hope it’ll be one of the women – Dany, Margaery or Sansa. So holding this book would be the best day ever, yes. Rainbow: That’s you! Tag your favorite friends to do this tag. St. Patrick’s Day might be gone for this year, but don’t let that stop you from doing this tag. Or if not, you’ll already have one ready for next year Ana, Anna, Analee, RedheadedBooklover, Panda, Alyssa, Jess, Catia, Joey, Jesse, Nya, Kacie, CW, Bookkeeper’s Secret, Becca, Becca, Codie, Chloe, Chelsie, Cinderzena, Orang-Utan, Elza, Betty, Gel, Emma, Michelle, Jonas, Melissa, Aentee and Kat. ← Top 5 Wednesday | Wants it! I should get on to reading the Shatter Me Series soon or I’ll disappear with the tide of new books coming up. I’ve never read anything by Brandon Sanderson but I’ve heard so much about him being a great author. Which book would you recommend for a first read? Love the tag. I saw it floating about too, so thank you very much for the tag ^_^! Thanks! I’ll let you know when I do get on to reading one or the other! Thanks so much for the tag!! 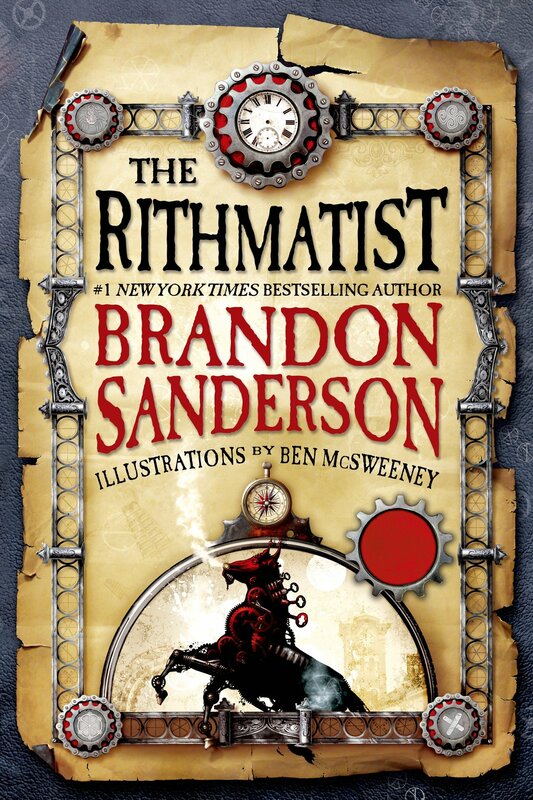 I loved your answers for this- couldn’t agree more about Brandon Sanderson’s magic systems- they’re brilliant!! And I love GOT too and cannot wait for the rest of the books to come out- and I’m super excited for April 24th when the next series starts!!! Can’t wait to see fan theories come to life (hopefully)! I’m in a paranormal phase right now, so I’m thinking this will be the next book on my TBR. I’m so excited 😀 Thank you!